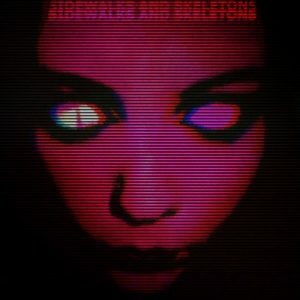 Since 2012, London’s Sidewalks and Skeletons has been dishing out albums of eerie, downtempo synth tunes that evoke the occult, midnight strolls, and the essence of independent horror flicks. While typically characterized as “witch house,” mastermind Jake Lee explores compositions that are low and somber, high and frantic, and all polarities of ambient and crushing extremes. 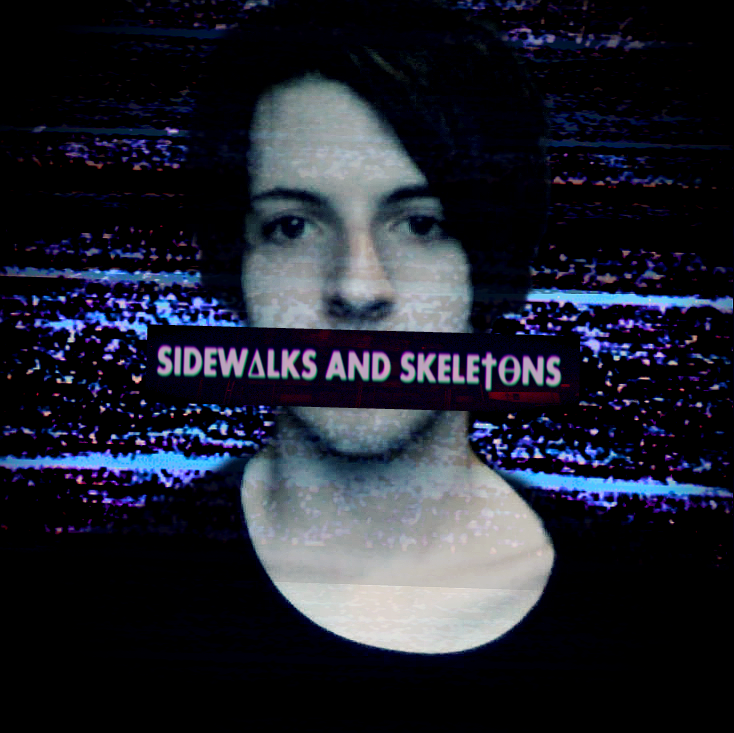 Whatever stylistic template you might wish to attribute to Sidewalks and Skeletons, his following has grown large in numbers and passionate in devotion. And this year, he’s embarking on a hotly-anticipated U.S. tour–with one of the dates in Phoenix. Mr. Lee was kind enough to answer some of our questions while road tripping ’round the country. This will be your first tour of the United States. How has the reception been so far? Response so far has been great! The people that have responded have been very positive and even helping to spread the word for us. Really want to see some good sized crowds out there. 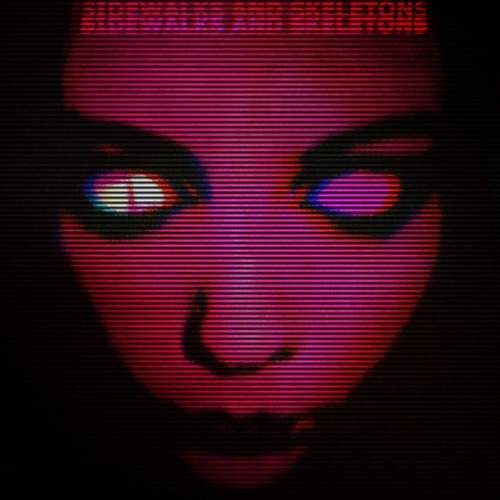 Sidewalks and Skeletons is considered to be part of the Witch house genre that exploded several years ago, but unlike other genres considered goth/industrial cannon, it never seemed like there was a hardline witch house “scene” that formed around it in a similarly tangible way. What is your experience like interacting with fans and fellow creators of dark music, goth/industrial or otherwise? There is a strong witch house scene but it is so far spread that it’s still very underground in a way. Like in Russia is blew up and WH shows had massive attendence, but it’s much harder to get big crowds for it in other countries. Like where I’m from in UK, there’s mainly just a really small scene for it in London. As an extension of the previous question, what are the crowds like at your shows in terms of the types of people who show up? I’ve never headlined before so the biggest crowds I’ve had were when I was supporting Crystal Castles in the UK. The people who come out are always so fun to hang out with, that’s one of my favorite things about it. What types of bands have you shared the stage with? Do they fit in with the witch house diaspora or are they of different genres? I’ve shared the stage with rock bands like Courtesans, and electronic artists like Ritualz, Empathy Test and Crystal Castles. It’s always great to be a part of the mix. All the reactions so far have been so great, beyond my expectations. 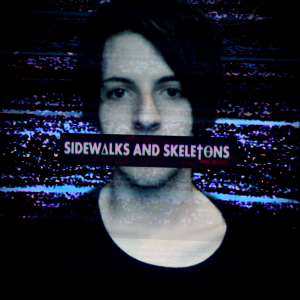 Where do you see Sidewalks and Skeletons’ music fitting into the current hodgepodge of underground music? I’m not sure really, I’m not really putting effort into fitting in, all the effort goes into making the music and making sure it’s coming from the deepest part of me. But wherever I fit in I’m happy with it. I love the way things are going because I never expected to get where I am. Always thought it would just be my secret hobby. I would’ve made the exact same music I have but no one would have heard it. You have built a considerable and devoted following without a record label or other traditional form of music promotion. Do you attribute this to anything you’ve done online, like interacting with fans? If I’m honest I don’t really know how it happened. When I started I was just making it at home because I love making it, but my computer was very unreliable and I lost a lot of my work from hard drives giving out. So I started storing it online (soundcloud) to keep it safe. But then people starting responding to it! You recently opened for Crystal Castles. Tell us about the experience. It was amazing. They’ve been my favourite band for years, since their second album dropped! So to be able to contribute on their new album (last track ‘their kindness is charade’) and play with them live was just unbelievable. Life made! There has been a major renaissance of weird, dark electronic music happening all over the world. In your own words, how do you think this has evolved? I think people need an outlet now more than ever, the world is such a weird place and it gets more insane every day. Music is just our outlet. Some of my favourites right now for that sort of music are Catsoup, Lorn, and Sadwrist. What can fans expect in 2017 after the tour? A new album! I’m almost finished with it and will be playing tracks from it on tour, those people will be the absolute first to hear it. We are looking forward to catching you in Phoenix. Can you give us a preview of what you have in store for us? A set packed full of intense music you’ll need to emotionally prepare yourself for. It will take you on a journey. We’re gonna have a great night. Are there any links you’d like to share? I just want to say I’m so excited and honoured to be playing along side such amazing talented artists. 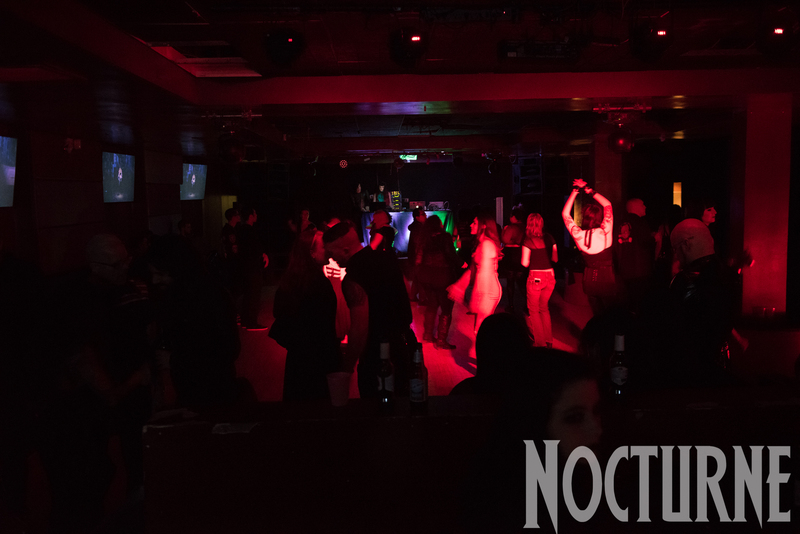 Resonata, Brothel, Essex, Luminance, and all the support are beyond amazing. It’s gonna be life changing. Thank you so much for taking the time to answer our questions. Catch Sidewalks and Skeletons live at the Trunk Space in Phoenix, February 26th.